The first of Facebook’s Aquila drones is fully built – The solar-powered drone can remain aloft for 90 days, flying between 60,000 and 90,000 feet above weather and commercial airspace, and could distribute Internet to an area around 50 miles across below in places like India or Nigeria. It has the 140-foot wingspan of a Boeing 737 but only weighs 880 pounds, about one-third as much as a Prius, and works despite the intense cold at high altitudes. Facebook is now doing ground tests of the drone and plans to roll it out for testing, likely somewhere in the U.S., over the next year. Facebook’s Internet-beaming laser delivered a 10 gigabit connection in tests, roughly 10X the previous record – The laser is used to beam a connection from a fiber-optic cable on the ground in a city up to one of the Aquila drones, which has its own laser to relay that connection to other drones. The targeting system on the laser lets it hit a receptor target the size of a dime from 10 miles away, even while it and the target are flying. 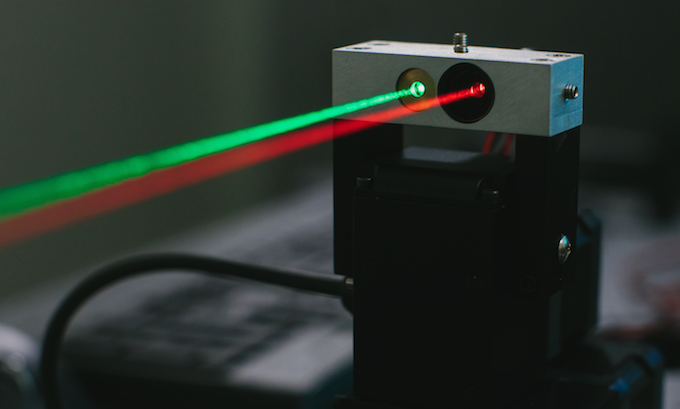 Prior attempts by NASA, research companies, and universities had only achieved around a 1 gigabit laser connection, making Facebook’s progress a huge scientific leap forward. Affordability – Data access is too expensive for many people, so Facebook launched the Internet.org app a year ago to offer free basic Internet to people through carrier partners. Those partners earn money if people get hooked and want the rest of the web. It’s now operating in 17 countries. Awareness – Many people don’t know the potential benefits of the education, health, job and other information available through the Internet. Accessibility – 10 percent of the world’s population are outside the reach of existing data networks. Facebook has built terrestrial satellites that can beam Internet over long distances, and satellites that can deliver it from space. But today it detailed its Aquila solar-powered drones, which have made a lot of progress recently. Facebook’s not the only one trying to solve the last problem. Google’s Project Loon uses lighter-than-air balloons to beam Internet down to people in remote areas. Yesterday Google announced that it’s partnered with the government of Sri Lanka to blanket the entire country with connectivity. Facebook and Google are racing because both want people to remember them as the company that granted them the Internet. Why not just use traditional cell phone towers? It’s extremely expensive to buy the land for, build, operate and protect these towers. That’s not cost-effective since towers can only reach a limited area where population is sparse and buying power is low, so prices need to be, too. Aerial vehicles could be much cheaper once the science is ready. When combined, Facebook hopes its terrestrial, drone and satellite projects could make sure every person on the planet can have Internet access. And since Facebook is one of the most popular things people do with Internet, it stands to gain a lot more users if it can get them online.